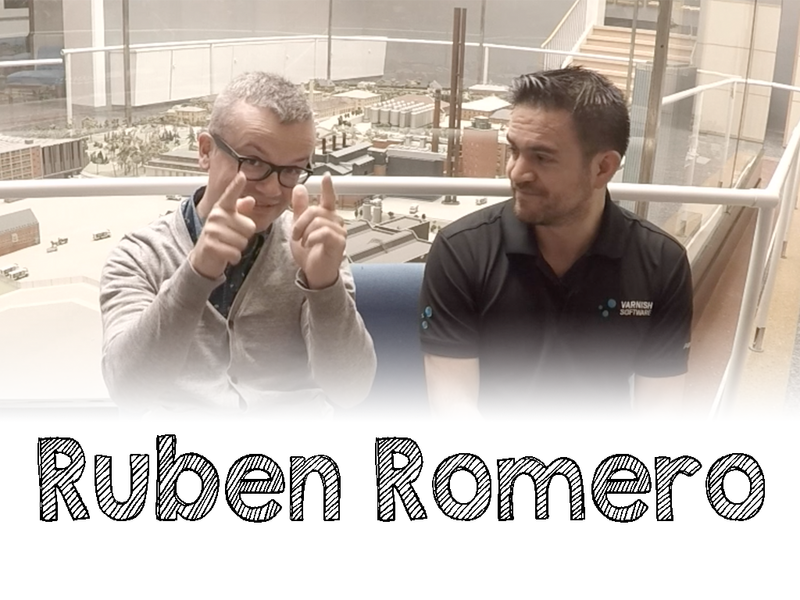 Ruben Romero is this week’s guest on the video blog and podcast. Ruben is the Director of Community Engagement at Varnish Software. He was born in Madrid, grew up in Ecuador and now lives in Oslo. Follow him on Twitter. The interview itself is up on Youtube. I did have some audio issues after a couple of minutes. I tried applying some noise-canceling filters, sorry about that. Varnish Cache is a popular open source HTTP accelerator. It has become an industry standard and reportedly 13% of the top 10.000 websites use Varnish to accelerate their websites, applications and APIs. Varnish Software on the other hand offers software and services on top of that. They also dedicate resources to the project, because their business relies on the success of the open source project. In the interview with Ruben Romero, we talk about the company and the project. Varnish is 10 years old this year and has an interesting history. We talk about the origin of Varnish and the role of chief architect Poul-Henning Kamp. We discuss how Varnish started as a custom project for VG.no with Linpro and how it eventually resulted in the spin-off that is now called Varnish Software. When you talk history, you end up talking about the future. I ask Ruben what the future has in store. He explains that Varnish version 5 is coming up. He expects it to become available in Q3 2016. The main feature will be support for HTTP 2. That’s not an easy task, because HTTP 2 has changed quite considerably. The fact that browsers enforce a TLS connection and that there’s multiplexing going on, will result in quite a bit of refactoring. The episode was also published on Soundcloud and iTunes. Want to stay in the loop? Want to know about upcoming interviews or just other stuff I’m doing? Why not subscribe?